Known for taking classic staples and reinterpreting them through fit, proportion, and construction, Band of Outsiders designer Scott Sternberg has now given the woven shirt his signature touch. Even if your wardrobe is full of enough button-downs to last a lifetime, investing in something that breaks the mold switches up your style in a good way. 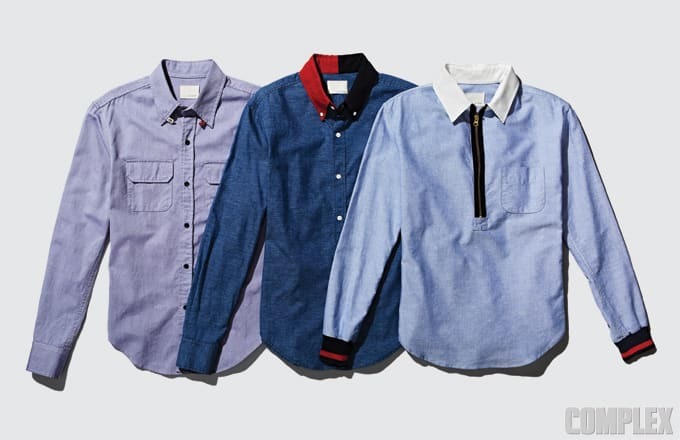 Add serious fire to your ‘fits with a work shirt with contrasting snap tabs that gives your buttoned-up look new life, a colorblocked-collar denim shirt that upgrades your chambray game, or a breezy popover shirt with a zipper detail and varsity-inspired ribbed cuffs.